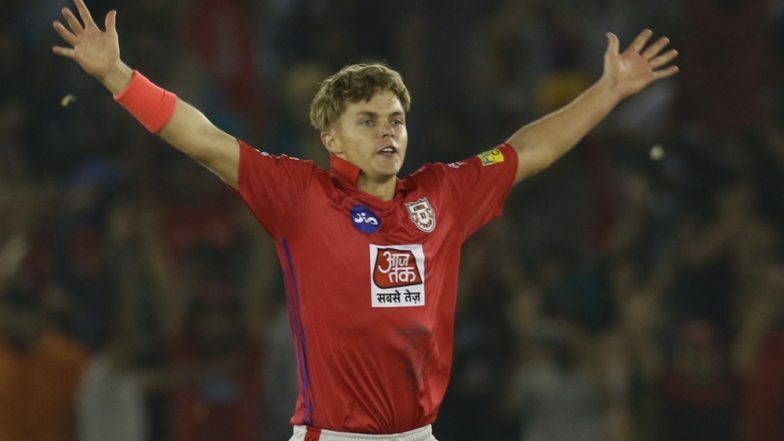 Sam Curran was the hero of the match between Kings XI Punjab and Delhi Capitals as he snapped four wickets and went on to become the man of the match in the 13th game of the Indian Premier League 2019. The match was held at the Punjab Cricket Association in Mohali and the home team walked away with the victory as they went on to beat the Delhi Capitals by 14 runs. Sam Curran celebrated the victory by breaking into a few steps of bhangra with Kings XI Punjab owner Preity Zinta. KXIP vs DC Stat Highlights: Kings XI Punjab Bowlers Led the Team to 14 Run Victory against Delhi Capitals. Rishabh Pant and Colin Ingram were the ones who could have easily taken the team to victory but Delhi Capitals kept on losing wickets at regular intervals and the players just could not survive the lethal bowling spells bowled by the home team. KXIP even went on to snap five DC batsmen on the score of zero. The team lost seven wickets just within the span of seven wickets. Team KXIP was obviously very excited with the victory and the video of Sam Curran dancing with Preity Zinta went viral on social media. The clip was also shared by the official page of the IPL. Sam Curran Takes Hat-trick as Delhi Capitals Collapse From 144/3 to 152 to Lose to Kings XI Punjab. Sam Curran was not aware of the hattrick when he was bowling “The crowd got really loud, I couldn't hear myself. Ash told me what to do. Ryan Harris was standing at the third man region. Against the Iocal batters, I had to ask our players, "Where does he hit?". Shami got two amazing overs in the end which helped,” he said. Kings XI Punjab now stands on number two of the IPL 2019 points table with four points in their kitty. KXIP beat DC by 14 runs.